First-class hotel accommodations in both a modern hotel and a charming family-owned Bavarian Hotel. 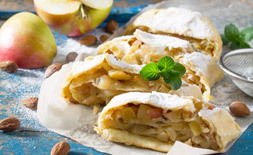 An optional "apple strudel" cooking class. 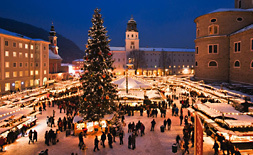 A professional tour guide and sightseeing in Salzburg & Munich. 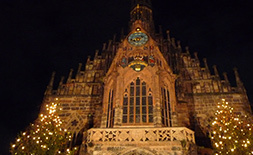 Extraordinary shopping in the historic & festive Christmas Markets of Innsbruck, Salzburg, Munich and Nuremberg. 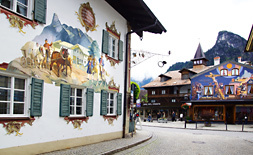 Shopping and sightseeing in the charming village of Oberammergau. An optional tour to the magnificent Neuchwanstein Castle. A visit to the marvelous Christmas Toy Museum in Salzburg. 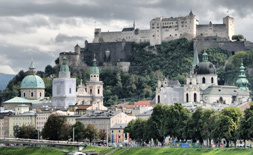 A walking tour of Salzburg including movie locations from the movie, "The Sound of Music." A special boat ride on Herrenchimsee Lake and guided tour of the palace. A "glass blowing" workshop to make hand-made Christmas ornaments! A trip to Oberndorf to see the original "Silent Night" chapel. 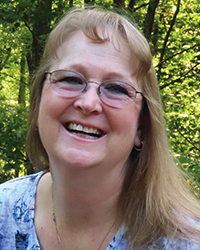 Traveling and workshops with our special guest, Bonnie Hunter. Craftours luggage tag, lanyard and special gift.